After many years of holding the position of the world's richest, Bill Gates has finally been over throwned by Amazon's CEO, Jeff Bezos. According to reports from Bloomberg’s billionaire tracker, Amazon CEO’s net worth has already touched $105.1 billion as at this Monday. This doesn't just put him in the position of the current world's richest man but also the world's richest man of all time. Forbes on the other hand which is a very popular net worth tracker also confirmed Jeff Bezos as the world's richest man but with a net worth of $104.4 surpassing Bill Gates whose current net worth is $93.3 billion. 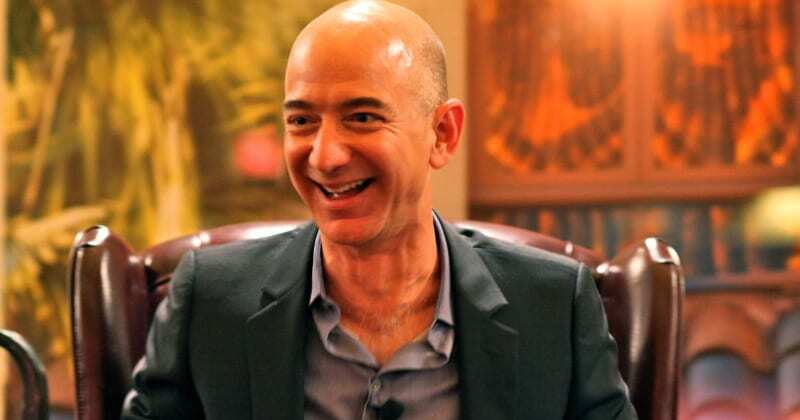 Majority of Jeff Bezos's net worth has been from the stock he owns at Amazon. As at the end of last year 2017, his shares of Amazon climbed to almost 57% and this actually gave his net worth a major boost. Its also worth noting that Bill Gates might probably still be holding the position of the world's richest man if he didn't give away some of his shares at Microsoft. According to Bloomberg, Bill Gates has given away Approximately 700 million Microsoft share which is worth $61.8 billion at today's value. So that is it guys, so what do you think about this. Feel free to share your thoughts in the comment section below. Bill gates is still the richest to me. He had donated over 30 billion US dollars to charity and that enough to even keep him in the first position..